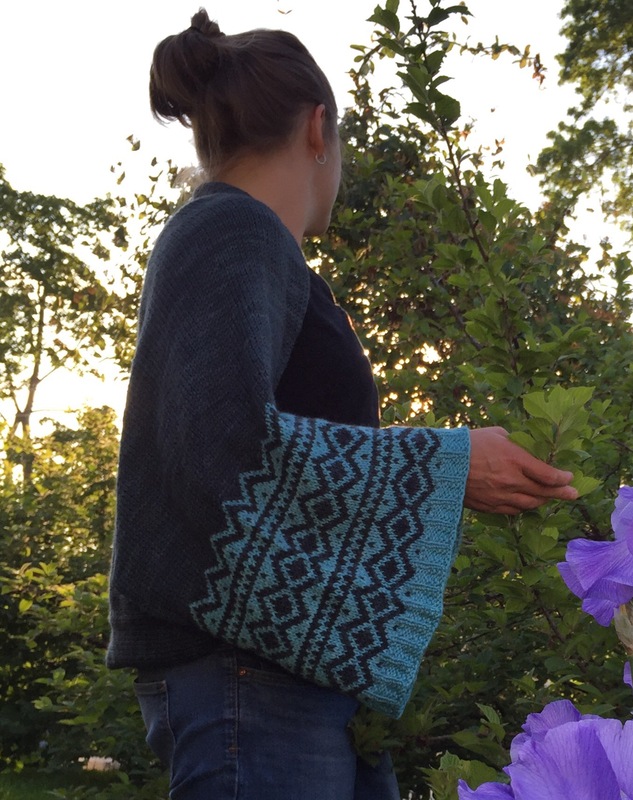 In early spring this year, I finished my Saugerties Shrug. 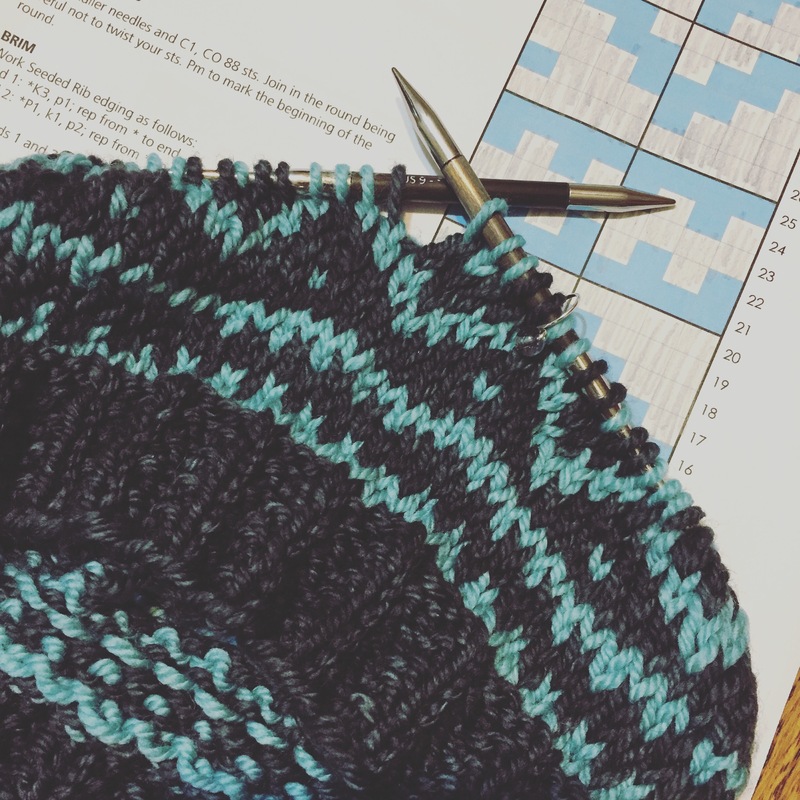 The pattern was love at first sight for me & I did the unthinkable in order to get this project on my needles: I actually set an alarm and entered the crazy & cut-throat race that are Plucky Knitter updates. 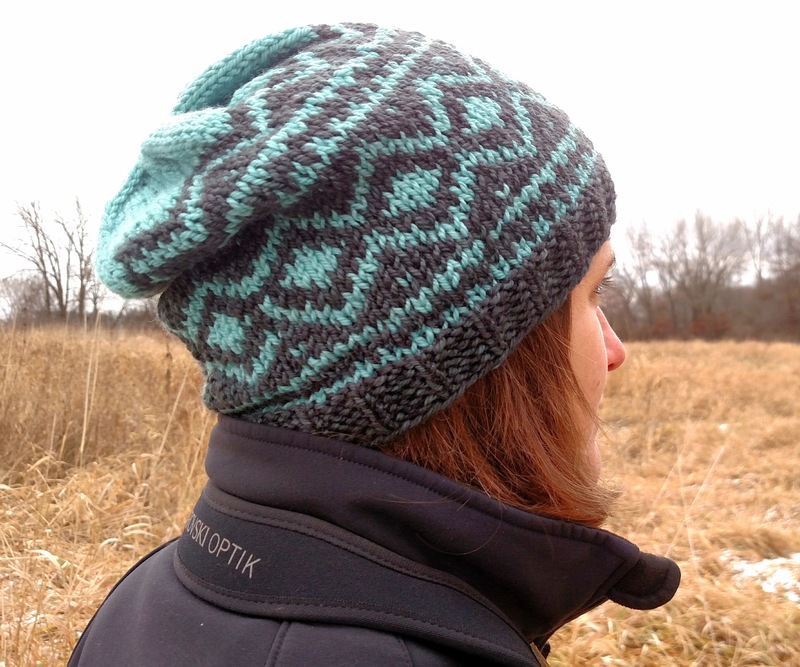 Don’t get me wrong, The Plucky Knitter has some incredible yarns and colorways — I don’t think anyone can deny that. I’m just not into how competitive and rushed trying to order this yarn is. In any case, it says a lot that I actually made a point to get the kit. Of course, there was a little drama. If you’ll remember from my post on the shrug I had narrowed the colorways down beforehand, but I misunderstood which was the main color and which was the contrast color so when the kit finally arrived I was kind of bummed. I emailed customer service — knowing full well it was my own fault — and asked if there was any chance I could buy an extra couple skeins of the dark color, Magnet & Steel, so I could flip the colors. They were prompt & friendly and set me right up and I went about the business of making my shrug. As you can see, it turned out great and I wear it all the time around my house now. It’s just perfect for throwing on for an added layer especially in the early morning or when I have to let Moose out. My husband compliments me on it a lot, too, which is kind of cool. 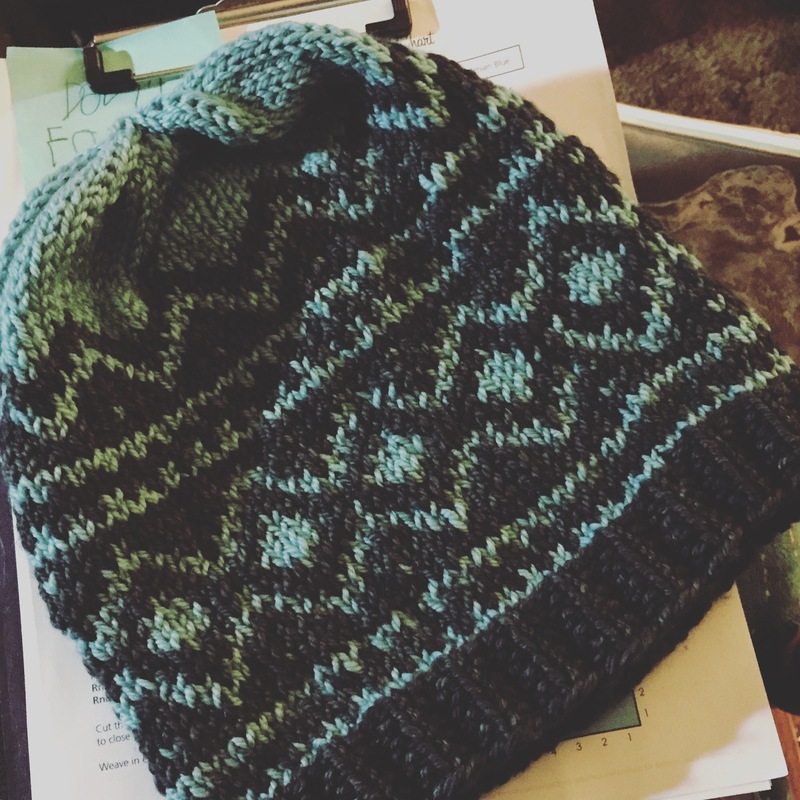 When you knit as much as I do, I think those around you kind of become immune to fabulous knitwear so pointing out particular interest in one piece means it must be pretty special. I was on the crown! I finished just in time to watch the (less than stellar) Packer football game with my dad. And, of course, it’s been put through its paces. 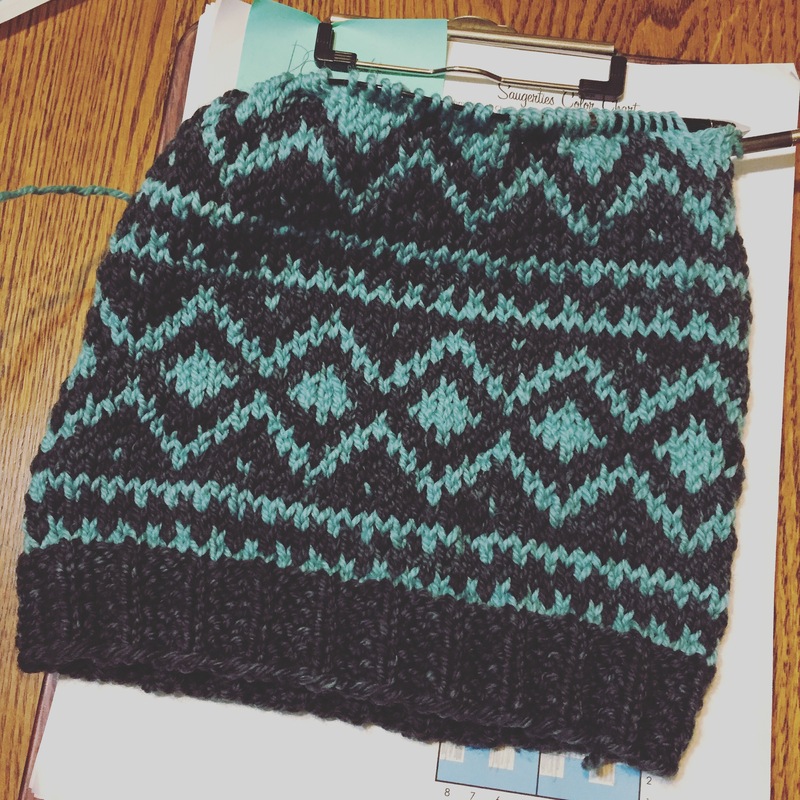 I honestly did not realize it was as slouchy as it is before I started. And yes, it’s supposed to be — I did check my gauge repeatedly throughout as well as once it was complete and it’s spot-on. I was a little unsure about that slouch when it first came off the needle, but I’m digging it now. It’s a great addition to my cold weather wardrobe. 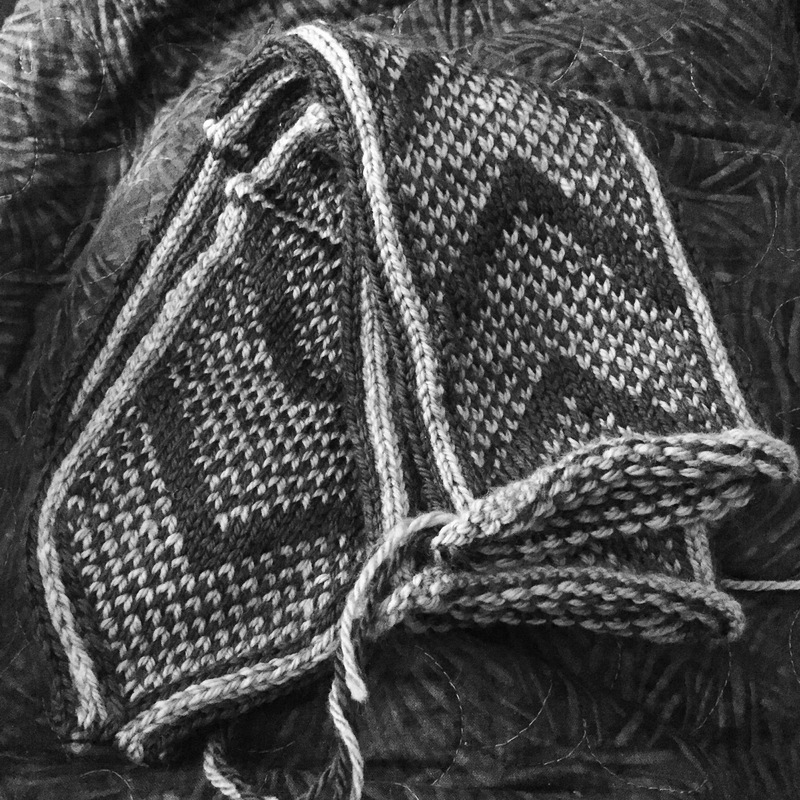 I’ll just share one quick in-progress black & white photo for now and then I’ll share a proper FO post after the holiday. The recipient knows they are coming, but doesn’t know which colors I selected and I think it’ll be more fun to keep that a secret. Suffice to say, I purchased this pattern way back at the beginning of summer and was delighted to have an excuse to knit up a pair of these fantastic slippers. They knit up in a flash and turned out just wonderful, no doubt in thanks to the extra practice with my hat. It’s rare that I plan my knitting to work out quite so neatly, but I have to admit I’m pretty pleased with how these two project played out. A new hat for me, a holiday gift complete all by way of knitting with one of my favorite techniques. What a great way to spend a a few days worth of my crafting time! Yes! Hats are awesome! My daughter grew out of her favorite hats, so I’m slowly trying to expand our stockpile. So fun, especially after longer projects! It amazes me all the time, how fast you are! Lovely lovely knits. The shrug is just gorgeous. Practice and time, means I get a fair bit done. I have a very understanding family that tolerates that I have needles in my hands almost always. I’m the complete opposite! I LOVE fair isle. It’s like catnip for me and I tend to whiz through it because it’s so fun for me. To each her own, right?! Thanks! The fit is great, too!